Are you living with depression, stress, anxiety, pain or illness? Discover the power of mindfulness and live a happier, heathier and more fulfilling life. 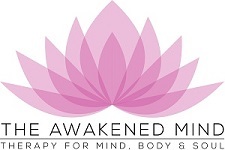 The Awakened Mind offer Mindfulness Based Cognitive Therapy (MBCT), Mindfulness Based Stress Reduction Therapy (MBSR) and Mindfulness for Children Therapy for males and females of all ages in Glasgow, East Kilbride, Hamilton, Motherwell and Lanarkshire. Owned and managed by Kirsty Paterson, a fully qualified Mindfulness Practitioner with over three years' experience, Kirsty provides professional and confidential mindfulness therapy in the comfort of your own home and surroundings. To learn more about Kirsty click here. Put simply, mindfulness is moment by moment awareness. Through mindfulness meditation, mindfulness movement, breathing techniques and simple exercises, mindfulness helps you become more aware of your thoughts, feelings and emotions, by deliberately bringing awareness to the present moment without judgement. This enables you to manage and cope with your thoughts, feelings and emotions, instead of becoming overwhelmed by them. As mindfulness focuses on the present moment it provides us with more energy, enthusiasm and appreciation for life and prevents us from being self-critical, mulling over the past, or worrying about the future. Additionally, mindfulness is now recognised and used in hospitals, education establishments and workplaces throughout the world and is included in the National Institute for Health and Care Excellence (NICE) guidelines. The benefits of mindfulness are tremendous. It reduces stress, anxiety and tension, helps with depression, illness and pain relief, and improves self-esteem and our general health and wellbeing. Mindfulness also increases clarity of mind, inner peace and our overall personal and professional performance. To arrange an appointment and enjoy the many benefits mindfulness has to offer contact Kirsty at The Awakened Mind.